This can definitely be the case in softball as well. 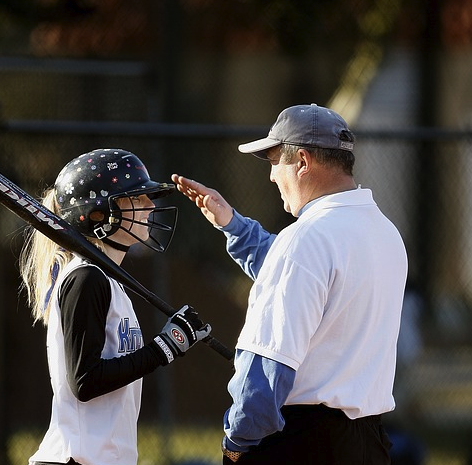 In this article, I’ll discuss some of the biggest mistakes that plenty of softball coaches seem to make time and time again. At the youth game, differences in skill sets might not be as distinct. However, trust me, they are there. The easy approach to coaching is running every player through the exact same drills. However, you have different types of players. Some are more speed focused, while others rely on the pop produced by their bat. With this said, coaches should be grouping players by skillsets for practice set-ups. The first half should focus on honing in on strengths and making those as pristine as possible. Then, with the second half of practice, focus on weaknesses. Look at the areas that are holding the player back from being a more complete player. Not being the coach? Some of you might raise an eye at this one. With this said, what I’m stressing is the need to be the coach and sometimes this means discipline. I’m not talking about continuously yelling at your players, but rather using your position to train players. Occasionally, you’ll likely confront players that think they know more than the coach. Don’t let a negative attitude disrupt the rest of your team. We live in a world where winning is sometimes viewed as always being the primary goal. Michael Jordan once said, “I've missed more than 9000 shots in my career. I've lost almost 300 games. 26 times, I've been trusted to take the game winning shot and missed. I've failed over and over and over again in my life. And that is why I succeed.” Don’t be the coach that creates a culture where players think an “L” is a complete failure and any season that doesn’t end with a trophy is a disappointment. Once you let the culture get away, all of a sudden softball goes from fun to a burden. This mistake is mainly applicable to youth coaches. I always say that youth coaches should be more focused on development, as opposed to racking up the trophies. At the same time, you need to understand not every player on a youth team is going to be “all-in” on a particular sport. Don’t take this as an insult. Some kids are just there for the social part. Don’t think that you need to be more disciplined to get them to love the game. For these kids, it might be more about teaching them some life skills instead of perfecting their softball talents. As a coach, it is your job to teach players and develop their skills. However, don’t be the coach that is never accepting feedback from anyone. Going along with this, you don’t want to be the one that is always coming up with random historical philosophies that will ‘supposedly’ transform your team. At the end of the day, it’s critical to find a happy medium between being strict and having fun. After all, softball is supposed to be fun, right? At the end of the day, no coach is perfect. We’re all going to make some mistakes. Just don’t keep falling victim to the same one. Just as it should be with your players, learn from your mistakes!